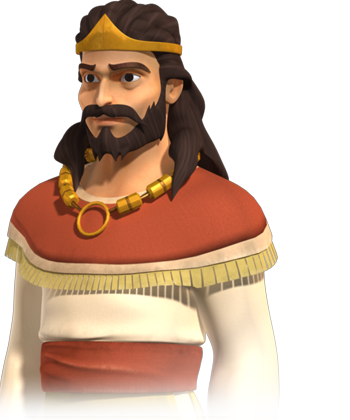 Saul was the first king of Israel and ruled for 40 years. He was anointed king by the prophet Samuel. Saul was the son of Kish, of the family of the Matrites, and a member of the tribe of Benjamin, one of the twelve Tribes of Israel. 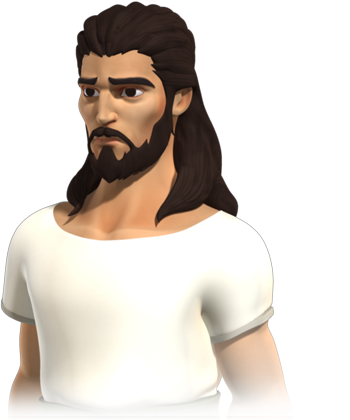 The Bible says that Saul was the most handsome man in Israel—head and shoulders taller than anyone else in the land (1 Samuel:9:1-2). David was the youngest of Jesse’s eight sons. During his life, he was a shepherd, musician, poet, soldier and king. He was a pretty busy fellow, for real. When Saul was rejected as King of Israel by God for his rebellion and disobedience, Samuel was sent to anoint the young boy, David, to eventually replace Saul. David did not actually take the throne and serve as king until later. In the meantime, David remained a shepherd and also began to serve King Saul. 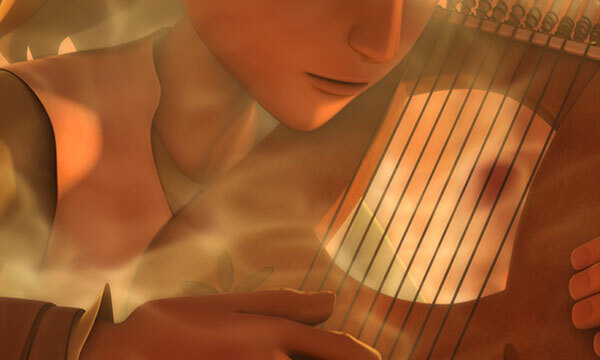 David played his harp and the music helped to calm the troubled ruler when he was tormented by an evil spirit. David also served as the king’s armor bearer (1 Samuel:16:1). Michal was the younger daughter of King Saul and Ahinoam. 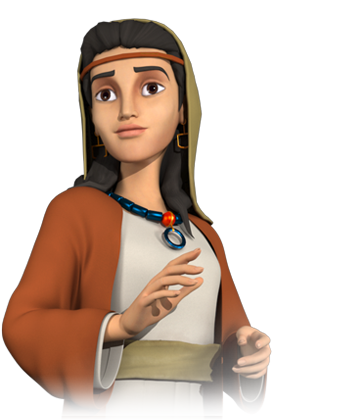 Her older sister was named Merab (1 Samuel:14:49). Michal became the first wife of David after David killed 200 Philistines for her hand in marriage. Saul had intended for David to be killed, not to be victorious (1 Samuel:18:19). Can I take revenge on someone who has wronged me? It's payback time! The temptation to repay evil with evil is something we all face. 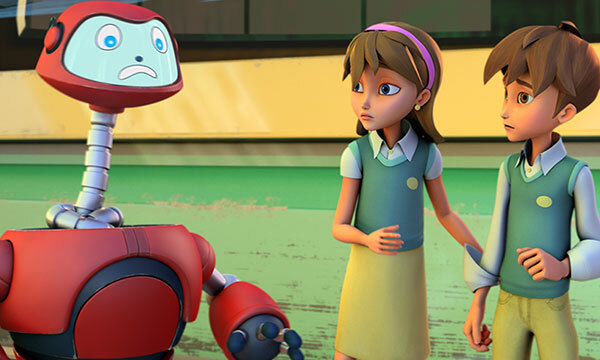 In the heat of the moment, after an offense or hurt, it's time to plan our revenge! 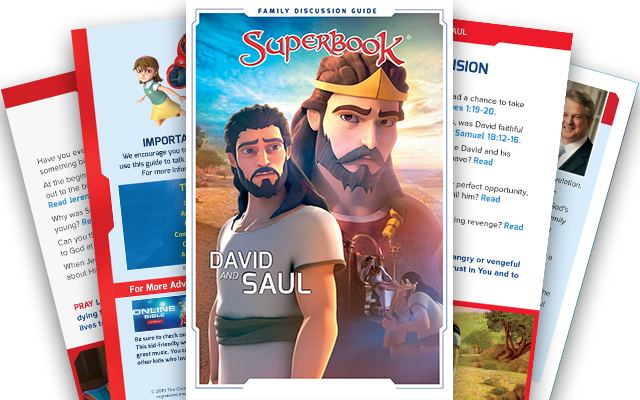 David had more than one opportunity to repay Saul for his evil deeds. Saul had even tried to kill him more than once! Yet, when David's chance for revenge came, he chose to leave judgment God's hands. David said, “May the LORD judge between us. Perhaps the LORD will punish you for what you are trying to do to me, but I will never harm you." (1 Samuel 24:12). Saul was amazed. "And he said to David, “You are a better man than I am, for you have repaid me good for evil." (1 Samuel 24:17). David had great respect and honor for King Saul because God's anointing was on him. God does not want us to repay evil with good. In fact, we are to do the opposite! "Don't repay evil for evil. Don't retaliate with insults when people insult you. Instead, pay them back with a blessing. That is what God has called you to do, and he will bless you for it." (1 Peter 3:9) Leaving revenge in God's hands is not always easy. Yet, when we do, God takes notice and rewards us. Romans 12:19 says, "Dear friends, never take revenge. Leave that to the righteous anger of God. For the Scriptures say, "I will take revenge; I will pay them back," says the Lord." Our best example of repaying evil with good comes from Jesus. While hanging from the cross, Jesus didn't ask God to punish those who were crucifying Him; instead He ask God to forgive them! (Luke 23:34). God's Spirit came upon Saul and David. Does the Spirit come upon us in the same way? 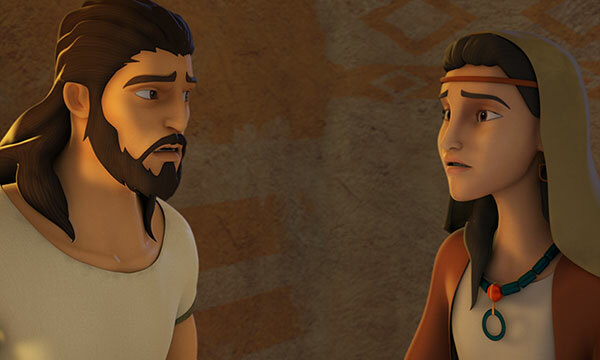 Samuel met Saul when he was looking for his father's lost donkeys. As Saul was leaving to go home, Samuel told him that God's Spirit would come upon him and change him. "At that time the Spirit of the Lord will come powerfully upon you, and you will prophesy with them. You will be changed into a different person." This is exactly what happened. "When Saul and his servant arrived at Gibeah, they saw a group of prophets coming toward them. Then the Spirit of God came powerfully upon Saul, and he, too, began to prophesy." Soon after Saul became king, the Spirit came upon Saul again and empowered him to lead the Israelites to victory against their enemy, the Ammonites (1 Samuel 10:6,10; 1 Samuel 11:6). 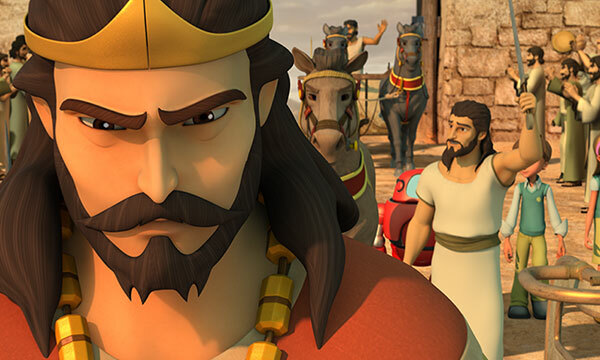 After God rejected Saul as king, Samuel anointed David to be King of Israel. The Spirit then came upon David powerfully. "So as David stood there among his brothers, Samuel took the flask of olive oil he had brought and anointed David with the oil. And the Spirit of the LORD came powerfully upon David from that day on. Then Samuel returned to Ramah." (1 Samuel 16:13) To anoint means to cover with oil. Oil is a symbol of the Holy Spirit. There are many examples in the Old Testament where God's Spirit coming powerfully upon His people to anoint them for mighty works. So, what about us today; does the Spirit come upon us in the same way? This is the exciting part! When Jesus returned to heaven, God sent a gift to all believers. He sent the Holy Spirit to fill us! Today, God's Spirit doesn't just come upon us; He actually lives in us! (1 John 2:27; 1 Corinthians 3:16). This means that we can experience God's power and anointing continually each day! Saul was jealous of David; why is jealousy harmful to us? Saul was the anointed King of Israel. He had God's Spirit and favor upon on him. Yet, Saul became jealous of David's ability, success, and popularity with God's people. 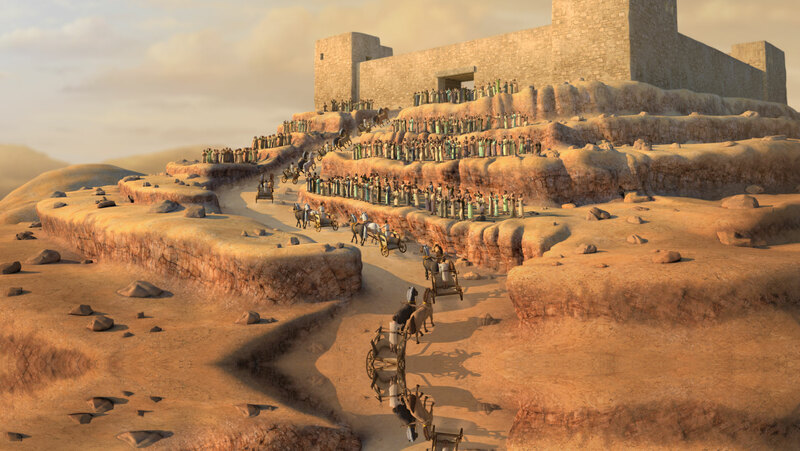 "When the victorious Israelite army was returning home after David had killed the Philistine, women from all the towns of Israel came out to meet King Saul. They sang and danced for joy with tambourines and cymbals.This was their song: “Saul has killed his thousands, and David his ten thousands!” This made Saul very angry. “What’s this?” he said. “They credit David with ten thousands and me with only thousands. Next they’ll be making him their king!” So from that time on Saul kept a jealous eye on David." (1 Samuel 18:6-9). Instead of asking for His help, Saul allowed the jealousy to grow in his heart. This led to disobedience and other sinful acts. This is exactly what the Bible warns us about. "For wherever there is jealousy and selfish ambition, there you will find disorder and evil of every kind." (James 3:16). So how should we respond to other's possessions or success instead of being filled with jealousy? 1 Thessalonians 5:13 says, "Be thankful in all circumstances, for this is God's will for you who belong to Christ Jesus." Instead of being jealous, God wants us to be thankful for other's blessings. Psalm 103:2 says, "Let all that I am praise the LORD; may I never forget the good things he does for me." Instead of focusing on what others have, praise God for what He has given you! David showed respect to Saul even when Saul was evil. Do we always have to show respect to leaders? David greeted Saul as his lord the king. This is difficult to understand after all David had been through. Just minutes before, David had been given ithe opportunity to kill Saul. His men even encouraged him to do it Yet, David still saw himself as a servant to his king - the Lord's anointed one! Romans 13:1 says, "Everyone must submit to governing authorities. For all authority comes from God, and those in positions of authority have been placed there by God." Let David be our example of honoring leaders. We may not agree with their actions, decisions or policies, but we are told in God's word to honor them. Do I really need to admit to God that I have sinned; doesn't He already know? Saul greeted Samuel and bragged that he had carried out God's command. This was far from the truth. God's orders were to completely destroy the evil Amalekites who had opposed the Israelites when they left Egypt. 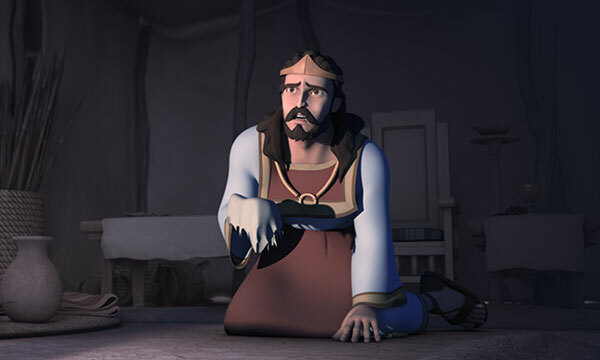 Instead, Saul chose to spare the king's life, and keep the best animals, and valuable objects for himself. He only destroyed what was worthless (1 Samuel 15:8-9). 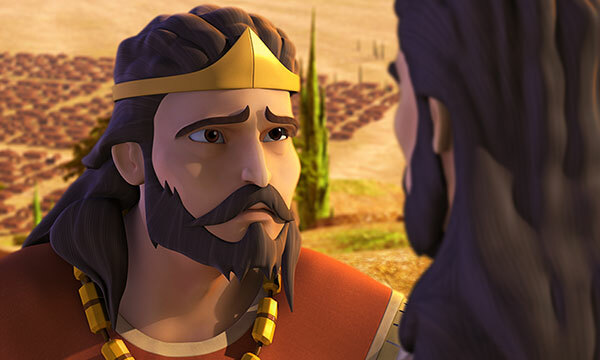 Samuel confronted Saul with his sin. Saul denied that He had done anything wrong. He told Samuel that he completed the mission God gave him. "But I did obey the LORD,” Saul insisted. “I carried out the mission he gave me. I brought back King Agag, but I destroyed everyone else. Then my troops brought in the best of the sheep, goats, cattle, and plunder to sacrifice to the LORD your God in Gilgal.” (1 Samuel 15:20-21). Sin cannot be hidden from God. Because Saul continued to disobey God and would not repent, God rejected Saul and removed his kingdom from him. God will not be mocked! 1 John 1:8-9 says, "If we claim we have no sin, we are only fooling ourselves and not living in the truth. But if we confess our sins to him, he is faithful and just to forgive us our sins and to cleanse us from all wickedness." When we make excuses for our sin, we fool ourselves, not God. If we will confess our sins - if we admit that we have sinned and have offended God - He will forgive us and cleanse us! 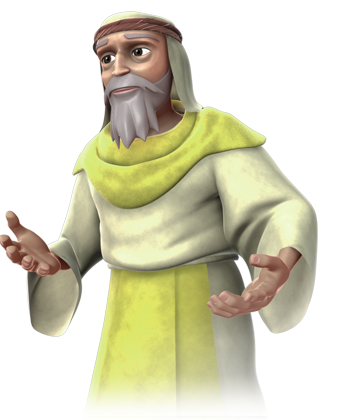 God sent the prophet Nathan to King David to reveal David's secret sin. David had successfully hidden his sin from others, but God knew! When Nathan revealed the sin to David, David was heartbroken and repented of his sin. He asked God for His mercy and forgiveness. "Have mercy on me, O God, because of your unfailing love. Because of your great compassion, blot out the stain of my sins. Wash me clean from my guilt. Purify me from my sin. For I recognize my rebellion; it haunts me day and night. Against you, and you alone, have I sinned; I have done what is evil in your sight. You will be proved right in what you say, and your judgment against me is just." (Psalm 51:1-4). This is the correct response to sin. It is right to apologize to others we have sinned against, but don't forget that God has been offended and sinned against too! David recognized and understood how he had fallen short of God's Word. In contrast, Saul didn't make the connection; he was in denial and fooling himself. 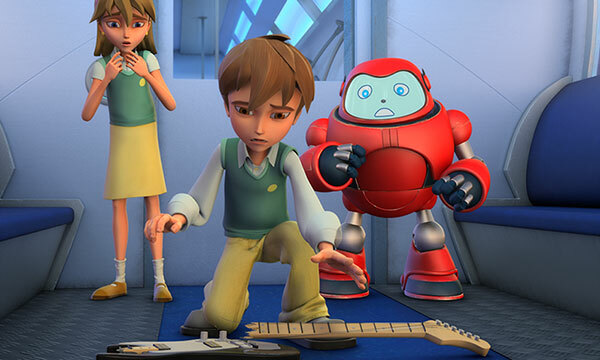 We must never try to hide our sin. Always come to God and confess your sin; repent and ask God to cleanse and forgive you! He is faithful to do it every time!